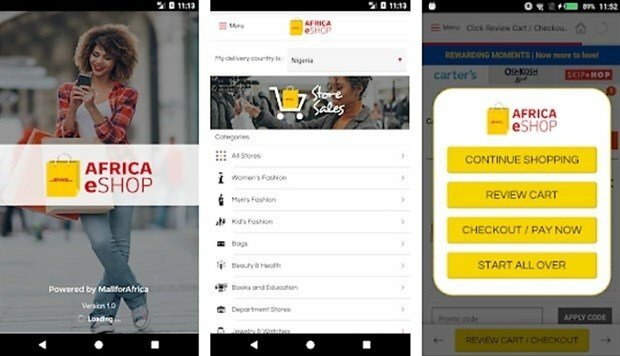 Developed in partnership with Link Commerce, a division of Mall for Africa, the app is aimed at improving the online shopping experience for Africa-based consumers. DHL Africa eShop will be available in 11 African markets to start - South Africa, Nigeria, Kenya, Mauritius, Ghana, Senegal, Rwanda, Malawi, Botswana, Sierra Leone and Uganda. Hennie Heymans, CEO of DHL Express sub-Saharan Africa, says that the DHL Africa eShop app offers African consumers much greater access to international retailers on an easy-to-use platform. “DHL Africa eShop provides convenience, speed and access for online customers in Africa. Despite the growing demand, many US and UK-based retailers do not offer shipping to African countries, owing to the perceived logistical challenges involved such as high last-mile delivery costs and fraud concerns. However, DHL Express was the first express operator to set up in Africa over 40 years ago, and believes it is well positioned to offer "innovative and reliable solutions on the continent".